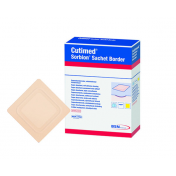 Cutimed® Sorbion® Sachet Border Dressing 7323602 by BSN Medical offers a sterile 6-inch dressing with an adhesive for easy application to the skin to heal moderate to high exuding wounds. 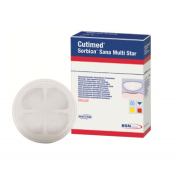 The dressing has a super absorbent core to draw in large amounts of exudate including harmful bacteria. 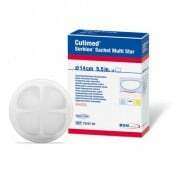 Its ability to lock in bacteria and exudate comes from BSN's Hydration Response Technology. The core is modified cellulose fibers and gel-forming polymers. 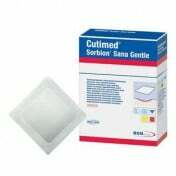 Moisture creates the gel to trap in bacteria and control odor. The dressing is flexible yet strong that the core won't leak. The Sachet Border Dressing can be worn up to four days for cost effective treatment. 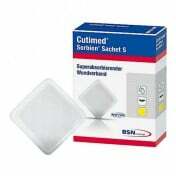 The 6-inch square dressing is available in a single sterile dressing or box of 10. 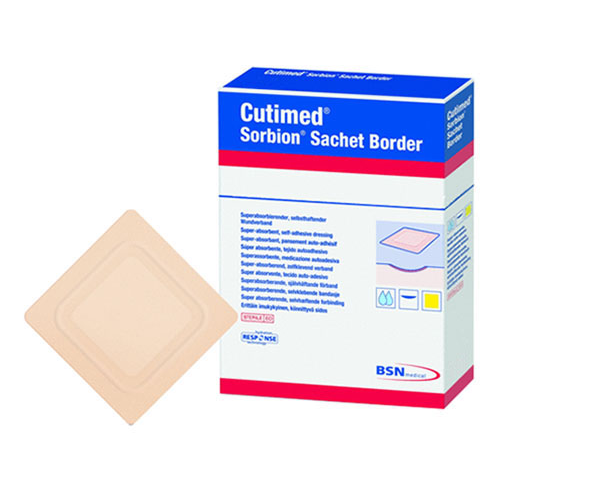 When needing to cover a larger surface area, try Sachet Border 10 x 6 Inch. 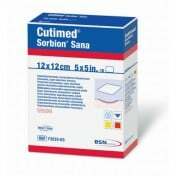 For moderate to high exuding wounds and ulcers.